LJP builders are proud to offer the best garage conversion service in Liverpool due to our expertise in converting and extending buildings. 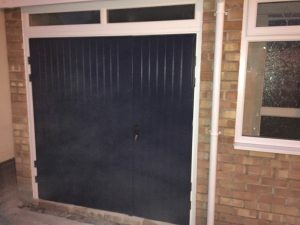 Over our years of service we have developed an enormous amount of experience and craftsmanship in converting and adding to existing buildings, an area that we specialise in to provide the best possible result for your money. We offer a free, 1-hour no-obligation consultation to every interested client so that everyone has the opportunity to see how their extension or converison would work, weigh up the price and work involved, and make an informed decision. Garage conversions are a very popular way to create more living space in a house from the existing garage, a space usually relegated to hosting garden tools and brik-a-brak. Our Liverpool garage conversions are all geared towards following your brief so you wind up with the new room you want: whether you go for a new bedroom, lounge area, a home gym or a den, or anything in between! Our gargae conversions are completely tailored to you, making every one a bespoke project, and we encourage you to give us as much design input as you can. If you don’t like an idea, then that idea won’t make the cut. If there’s somehting you particularly want, then we will make a special effort to ensure it is included in the final design. It’s your garage – convert it into whatever YOU want. Our Liverpool garage conversions service doesn’t just cover the building work either – we’ll take care of the tedious planning permission, the submissions to the council and other relevant authorities, and employ our team of seasoned architects to design everything with your requirements in mind. 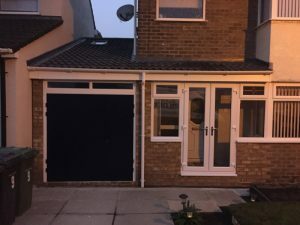 If you’ve been looking at a garage conversion in Liverpool and you were worried about the cost or the outcome, then let us reassure you. LJP Builders can help you turn that garage into a fantastic space and provide the dream conversion you’ve been looking for! Converting your garage allows you to add a huge extra space to your house without actually building a new extension onto the building. It involves less planning permission, is less expensive and keeps your garden and the outside of the house as they are – so you don’t need to sacrifice outside space and the look of the house for your new room! If you feel like your house isn’t big enough for your needs – if a child has outgrown their shared bedroom, you’ve taken up a new space-intensive hobby or you just fancy a bigger space to call your own – then you have two choices: move, or increase the space in the house. Many people don’t want to move, as they love their area and their house or would rather spend the money elsewhere, so for them a garage conversion will provide all the extra space they could possibly want, without the stress of leaving your home behind. Garage conversions are an very effective and tested way of increasing the value of a house, and have been shown in the past to boost the property’s value by up to 12.5%, which for many homes means turning a healthy profit from the conversion! A refuge within the home, a den or study is the perfect place to find a little solitude, get away from the stress of normal life and just chill out. Relaxing with a book or in front of the TV is hard to do in a busy living room, but in your secluded new den, it’s never been easier. What does a garage conversion entail? Garage conversions are not as stressful as extensions or new building projects for several reasons. For starters, you don’t need planning permission, as your conversion won’t be increasing the size or altering the shape of your house. Without the need for planning permission, you’re free to plan the project however you like and proceed whenever you want! Full introduction with all our professional staff who will be working on the premises, to make sure you are at ease with them working on your property. After this stage, the design phase will begin, and our architects will work with you every step of the way to get a design you love. We pride ourselves on solid professionalism and always work to cause as little disruption to your home and day-to-day life as we can. We’ll listen to your input at every step of the way and make sure you’re left with a space you love. The master bedroom is the pride of any homeowner – a space all their own, where they are most comfortable. Converting your garage can give you a much larger space than the one already in the house, and give the master bedroom a degree of isolation and peacefulness that is hard to beat. It’s always nice to be able to host a friend or family member that’s come to visit, and having a proper guest room instead of just a sofa to offer them is the sign of a great host. With an expansive guest bedroom in the garage conversion, they’ll have all the space they could want, far enough from the main house to have some independence and privacy too. Working from home is a dream for many, and an end goal for even more. Whether you plan to work outside normal business hours, finally write that book, learn a new subject or simply find a quiet place to concentrate and work through the administrative hassles of modern life, a garage office can be the perfect answer. With a Liverpool garage conversion from LJP Builders, your garage could become the perfect working environment, spacious, airy and light, and removed enough from the rest of the house to give you all the peace you could need while working.